While most people have to find a work-life balance in their lives, Becky DeGarmeaux is free of that problem. 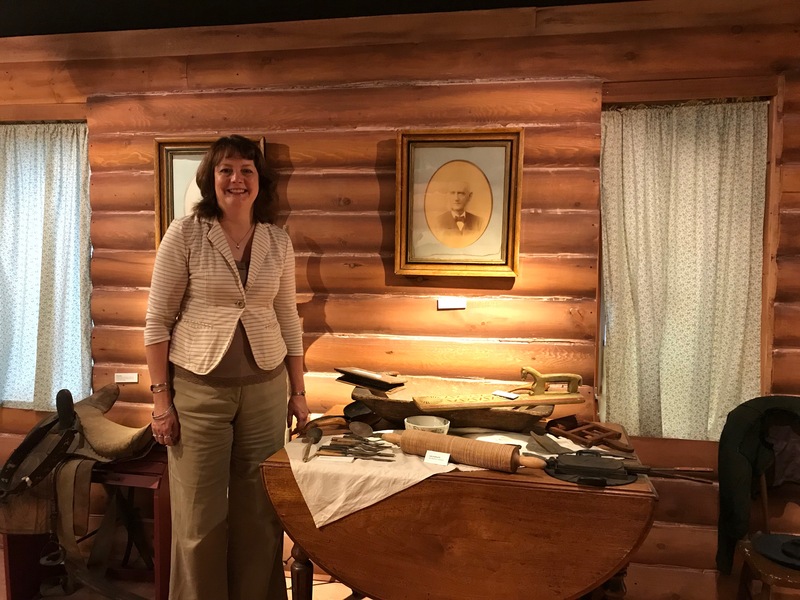 In the Ottesen Museum, a small building located by the Bethany Lutheran College Seminary, Becky DeGarmeaux is in her element, surrounded by rich church and synodical history. When I arrive at the museum, I’m not completely sure I’m in the right place, as it nearly resembles a house more than a museum. However, the Ottesen Museum sign does not lie, so I step inside to be warmly greeted by DeGarmeaux. 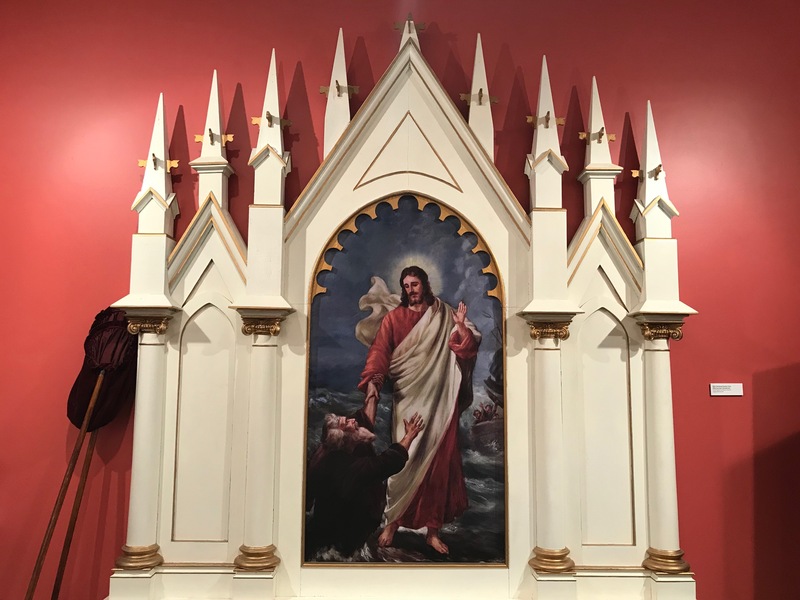 The museum is filled with church history books, twentieth century period clothing, an altar, and more—all shedding some light on the Evangelical Lutheran Synod’s (ELS) history. It is also DeGarmeaux’s work space. She is intimately familiar with most of the pieces in the collection—she is in the process of cataloging them, after all. The space is dedicated to preserving artifacts and knowledge in the history of the ELS, something not many people know about. A few minutes into polite conversation, I mention that I have never been in the museum. “I can give you a tour right now if you like, or we can talk first,” she offers, and we decide to talk, then take a full tour. She leads me to her office located down a hall with walls featuring paintings of church founders and old photographs of ELS churches in Iowa. In her office, I ask her what exactly her job is since I, like most people, am unfamiliar with the nature of her work. “That is a good question—I do everything,” she replies with a laugh. DeGarmeaux catalogs donations to the collection, leads tours of and promotes the museum, and gives presentations on synod history. The job almost fell into her lap after the former museum director retired. Not knowing the fate of the museum, she asked what would happen with the museum and who would run it. Next thing she knew, she was offered the job. She took to it effortlessly, eager to explore and share how congregations in the ELS could preserve their own heritage, as well as teach synodical and church history. Though it is only nine hours a week, that time is easily filled. “There’s a line in the history of the doctrine. It’s not just ‘We say this.’ No, Koren said it. Luther said it,” she begins, her assured tone revealing of how important she views preserving church history. “It’s not just us making up stuff because this is what we feel like—it’s what the Bible says. So that to me is really important in encouraging places [churches] to preserve their own history as well.” Through history, congregations are able to share a sense of connection with those who came before them and look to them for guidance. As she talks about the work she does and how she is involved at the museum, it becomes clear to me that even though this is a job, she hardly considers it “work.” Even when she is not working, she will read synod history books for a refresher. At this point, I have not had to ask her a single question other than “What is your job?”—she is more than willing to discuss other relevant topics that arise. Despite this, she doesn’t ramble, but speaks deliberately, showing a deep understanding of these topics. Our discussion of her work in the museum slowly shifts into a conversation on Katie Luther, wife to Lutheran reformer Martin Luther. DeGarmeaux’s interest in her began when she was first married and had plenty of free time during the day while her husband, Mark, worked as a pastor in his congregations. To fill the time, DeGarmeaux started reading up on Katie for fun. Flash forward, and DeGarmeaux has presented on Katie nineteen times in the past year and a half. DeGarmeaux is invested in Katie’s life and has put effort into learning all that she can about her. The amount of work she puts in would make it seem like hard work, but to DeGarmeaux, while it can be challenging, it is also a hobby—one she is devoted to and loves. Her work on Katie Luther, much like the Ottesen Museum, came about through her natural interest in the subject, but also by a few other things falling into place. In 1992, she and her husband traveled to Germany, and in a used bookstore, DeGarmeaux recognized a book by an author who was an established authority on Katie Luther. “I don’t know what this costs but I need this book,” she urgently said to Mark. The book was written in German. Luckily, her husband, being fluent in German, had no trouble translating the book. A few years later, when church history scholars started developing an interest in Katie Luther, some approached Mark, wondering whether or not he had done any research on her. Mark pointed them to Becky. “A lot of it was circumstances and accident, and a lot of it fell into place,” she says. What started out as a way to pass the time at home snowballed into part of the work that she does today—a job researching, writing, or presenting on Katie Luther if asked. “I have not promoted it. It’s all been word of mouth and people asking me to do it,” DeGarmeaux says, and tells me about the connections she has made through giving presentations or running the Katie Luther Facebook page, which she posts on every day or two, writing short paragraphs about clothing that Katie would have worn, food she would have cooked, or how she would have raised her children. She travels a fair amount for Katie Luther presentations, Most of it is local, though she’s gone to Washington and Florida, two far corners of the United States. And though this was not for a presentation, DeGarmeaux also traveled to Germany this past summer, with a long list of cities and destinations she wanted to visit. She’d presented this list to Dennis Marzolf, the Bethany choir director, family friend, and the one organizing the trip, and he shut her down with a quick “Too bad,” in a good-natured way. Despite this, she was able to visit the house where Katie Luther died among some other iconic sites. As we discuss Germany, I direct my attention to her bookshelf, filled with Lutheran-related objects, a few of them from Germany. She tells me the story of a Luther Rose, a symbol of the Reformation and tenets in Christianity, where the seller also threw in a small, die-like ball that children would have played with around the time of the Reformation. I point to what looks like a unique wine jug commemorating the Reformation, and ask for the story behind that. Because a fair amount of her time is spent working in the museum or researching, I’m curious as to how she spends her free time. She pauses for a moment, struggling to find a hobby that does not involve her work, serving others in some way, or being productive. Eventually she comes up with a few. “I do hand sewing, but it’s stuff to give away, so there’s always deadlines,” she says, and mentions that she is currently working on an afghan for a nephew who will be confirmed. She also makes baby bibs, ornaments, and wedding shower presents, among other things. “I do relax, it’s just busy relaxing,” she says. I get the sense that this mentality is a defining trait of DeGarmeaux’s—she constantly looks for new things to learn, and this is why the work she does never feels like a chore. My suspicions are further confirmed when she mentions that she is also trying to learn German through the Duolingo app. Perhaps the most casual hobby she enjoys is reading—everything from Jane Austen to books on church history. I find out she recently finished Harry Potter and the Deathly Hallows, so we take the necessary time to discuss the ending of the series, something on which we have common ground. Even DeGarmeaux’s vacations are productive. For Spring Break, she has plans for traveling to colonial Williamsburg’s historical sites. This strikes me as a fitting example of the “busy relaxing,” DeGarmeaux referred to earlier. We make our way out of her office, and she gives me a tour of the museum. The museum is filled with pictures, paintings, books, clothing—whatever enriches the Lutheran tradition. As we go into a room filled with pews and an altar, she answers my questions about the Lutheran relics, and even offers to let me make a bookmark. I find myself wanting to ask more and more, knowing she will have some interesting take, or a story to tell. She leads me downstairs, which is essentially a makeshift cabin filled with home items from the mid-nineteenth century. Some churches with young confirmands ask her to do presentations on Synod history, and sometimes she even presents on Laura Ingalls Wilder, donned in clothes she would have worn in order to add to the authenticity. 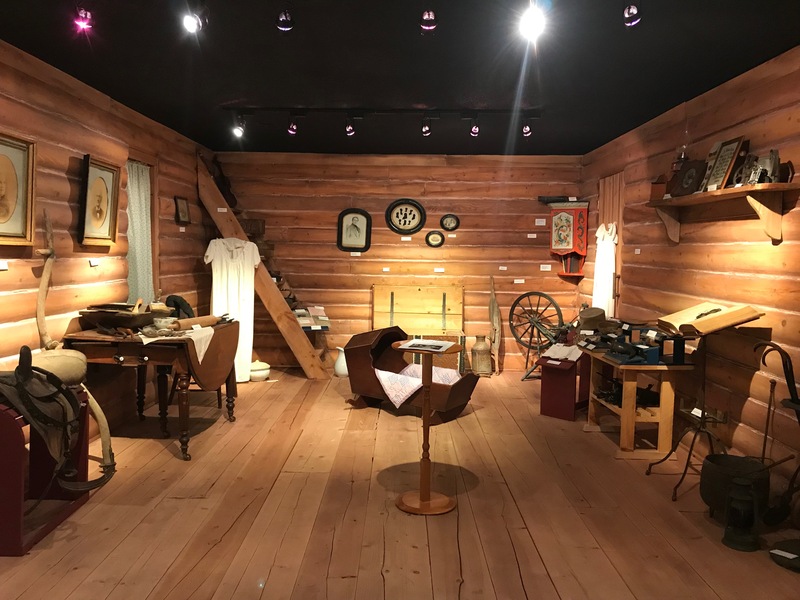 I have a feeling that though seventh and eighth graders might not be initially interested in the home life of ELS church founders, DeGarmeaux manages to engage them. As we return to the main floor of the museum, she is stopped by one of her coworkers with a beautiful, intricate necklace for her to catalog. She asks about its origin and history, and I once again am struck by how invested she is in her work, a luxury many do not have. Her work-life balance operates in a unique way, as both of those things seem to effortlessly blend together. She views her work as worthwhile, not simply because she enjoys doing it, but because she knows it will be invaluable for those who come after her. She understands the need for preserving history and looking to those in the past for guidance to understand ourselves today. Being a part of the rich church history of the ELS is priceless to her, as is sharing that history, even from this small building in Mankato.